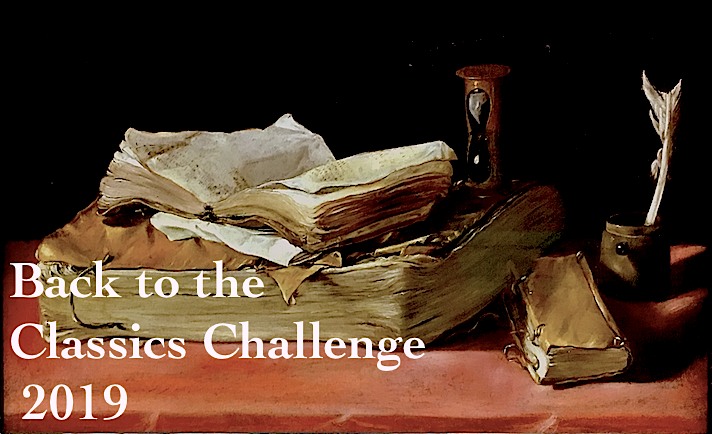 So, a couple of months ago I signed up for the most recent Classics Club Spin, in which a random number is assigned to choose your next Classics Club read. I only had seven books on the list, so I thought it was a win-win. 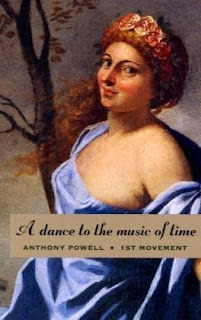 My selection was A Dance to the Music of Time (First Movement) by Anthony Powell. I was really looking forward to it, but sadly, it did not end up being the book I hoped. First, I should point out that this is an omnibus, the first three volumes of a 12-volume cycle of short novels originally published in the early 1950s. Each volume is about 250 pages long. As it's such a long work, I started it in October, and I still haven't gotten much more than halfway through this book. However, I did write down some thoughts as I was reading, so I'll try to at least comment on my progress. The first volume, A Question of Upbringing, is the story of four young men at prep school. The narrator, Jenkins, tells us all about his two friends, Stringham and Templer (apparently in prep school no one is ever referred to by his first name; I only figured out Jenkins' first name was Nicholas because it's on the back of the book) and another slightly less privileged boy named Widmerpool, who appears to be somewhat tormented because he is of a slightly lower class -- his father works for the railways, ye gads! Basically, it's the mildly interesting antics of some incredibly privileged and entitled rich white boys. Jenkins doesn't seem too bad, but his friends are pretty much jerks. There's one episode in particular when they're cutting class and decide to divert attention by playing a nasty trick on a headmaster called La Bas. All the women in this novel are merely there to serve the men as mothers, sisters, or potential girlfriends. It was mildly interesting, though I didn't care much for any of the characters. Is this meant to be a satire about the future leaders of England? The (slightly) less-privileged Widmerpool seemed the best of the bunch so far, but I was somewhat underwhelmed. It was a pretty easy read and I finished it in less than a week, so I thought I would zoom through it. Alas, I hit a snag at the second volume. Volume II, A Buyer's Market takes place after the boys have left prep school, and quite frankly, it was a struggle. Much the action takes place over one night at a series of large parties, where Jenkins runs into a lot of his old school friends. I just found the whole thing tiresome, all these privileged young men who all seemed so entitled. None of the women in this part are well-developed characters, as they're just love interests or for the amusement of the men. There's also a reference to an African-American that is really offensive. I realize this book was written in the 1950s and is set in the 1930s, but based on the current political climate, I found it really distasteful. I thought the second book sort of stalled near the middle. I generally avoid reading large omnibus editions as I find them very unwieldy (plus this one was numbered with the original page numbers, so it was difficult to see how far I'd got. It also didn't help that I didn't read it for long stretches and I lost track of the narrative thread and began to get some of the names mixed up, and there are a lot of minor characters introduced at large parties. I just really wasn't that interested in the characters any more, they seemed so spoiled. Maybe this is just the wrong book at the wrong time and I should give it another chance. Many people have commented how they loved this book but it's just leaving me cold and I may abandon it altogether. Bloggers, have any of you actually finished this book, much less the entire series? Is it worth trying again later or should I just add it to the donation pile? Do you think there's such a thing as the wrong book for the wrong time? I did too, it's supposed to be so great and so funny. Maybe I just don't have the patience right now. I wonder if it would help if I tried watching the miniseries first. It might make it easier to keep the characters straight. I normally try not to watch adaptations first because if I do then I just imagine the actors and scenery in the film or TV version instead of what the author describes. This is on my Classics Club list, too, and I have that same edition on my shelf. I've even considered making the entire series a year long project. Candace (Beth Fish Reads) recommends the audio version narrated by Simon Vance... not sure I know anyone who has completed the series in print. I didn't know there was an audio version! Simon Vance is a great narrator, that might keep me interested. Thanks for letting me know, I'll look for it. I absolutely believe that there are right books at the right time and vice versa. I read this entire series and I loved it! But if it is leaving you cold, then I say let it go. You gave it a shot and it didn’t work for you. And the remaining volumes are very much more of the same except Nick gets older and the friends and acquaintances change with time and world events. I read some online reviews on Goodreads that are just raves, and they're talking about the literary symbolism and amazing writing, but I just didn't pick up on it. I liked the first volume, maybe I'll just take a break and give it another go later. I think I need comfort reads right now.